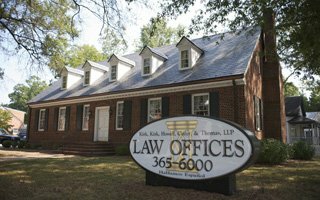 In 1957, Kirk, Kirk, Howell, Cutler & Thomas began providing residents of North Carolina with superior legal service and counsel. Since then, North Carolina has changed dramatically including the stance on drunk driving. In 2015 alone, North Carolina law enforcement handed out more than 22,000 citations for drivers accused of operating vehicles under the influence of drugs or alcohol. Since a large number of residents are choosing to drink and then drive, the DWI attorneys of our Wendell and Raleigh law firm have provided a resource to help explain what someone charged with a DWI* may face. *The acronyms DWI/DUI are commonly interchanged to describe the charge of impaired driving but since 1983 the Safe Roads Act which officially defines operating a vehicle after consuming drugs or alcohol as “driving while impaired” or DWI. The standard method for determining a driver’s level of intoxication is by testing the blood alcohol concentration (BAC) with either a breathalyzer or blood test. The State can prove impairment by the use of a breathalyzer or blood test or by showing appreciable impairment of a person’s mental or physical faculties. A driver charged with DWI in North Carolina faces a number of potential administrative penalties. Most DWI arrests result in an automatic 30-day civil license revocation with the possibility of a pre-trial limited driving privilege 10 days after being charged. A driver that refuses a chemical test will receive a 30-day civil license revocation pending a hearing which must be scheduled with the NC DMV. If the hearing officer determines that there was a willful refusal, the driver is subject to a 1-year suspension. 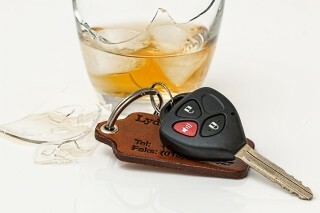 A DWI conviction will also result in substantially increased car insurance rates. Each driver convicted of a DWI is subjected to criminal penalties based on the sentencing level which are determined by the Court after weighing mitigating, aggravating and grossly aggravating factors as outlined in G.S. § 20-179 and listed below. Post-conviction, there is a minimum mandatory license revocation period of one year. However, if sentenced at a level 3, 4 or 5, you may be eligible for a limited driving privilege (LDP) if at the time of the offense the driver held a valid license or held a license that had been expired for less than a year. If a driver convicted of a DWI had BAC of .15% or higher, the LDP will include a mandate for ignition interlock. While a DWI charge is a serious offense, the State must provide proof beyond a reasonable doubt before the Court will return a guilty verdict. It is imperative to seek counsel from an experienced DWI lawyer who can help reduce your potential sentence and help with license restoration. If you have been charged with operating a vehicle while impaired, our Raleigh DWI lawyers are available for a consultation by calling (919) 615-2473 or by completing the online contact form. Don’t wait until your case goes to trial, speak with one of our attorneys today! Protecting your Privacy ~ Your privacy is our primary concern. At Kirk, Kirk, Howell, Cutler & Thomas, LLP., we understand the importance of protecting your privacy and will never share your contact information with a 3rd party. Contacting our law firm does not imply any form of attorney-client relationship. Information presented on this website should not be construed as formal legal advice or the formation of an attorney-client relationship. Additionally, any email sent to Kirk, Kirk, Howell, Cutler & Thomas, L.L.P. or any of its lawyers at the email addresses set forth in this website will not create an attorney-client relationship. Copyright © 2019 Kirk Kirk Law. All rights reserved. Terms & Conditions.